If you don’t have celiac disease, your heart won’t get a boost from going gluten free, according to a new study. The gluten-free lifestyle is crucial for people with celiac disease. For them, eating wheat, barley, and rye triggers the body to attack the small intestine, causing inflammation and leading to malnutrition and gastrointestinal distress. The inflammation then increases heart disease risk. Eliminating gluten stops the attack on the small intestine and reduces inflammation. 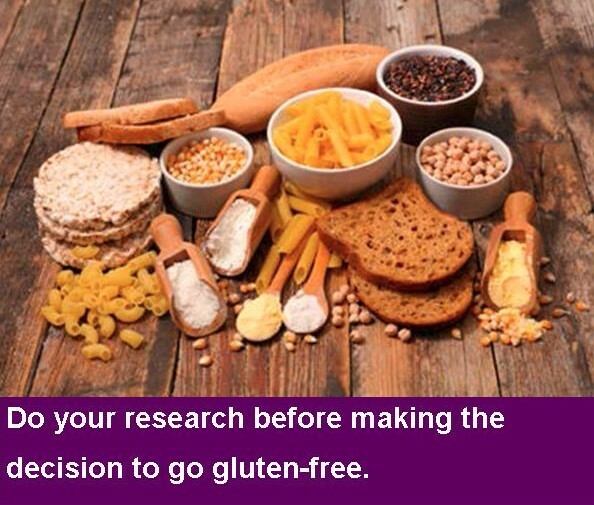 What the May study in The BMJ asked is whether people without celiac disease would benefit from going gluten free. The Harvard research team did not find much of a difference in risk of heart attacks between people who ate the most gluten and those who ate the least. On the other hand, people who avoided nutritional whole grains had an increased risk of heart disease. The lesson: If you don’t have celiac disease, don’t cut whole grains out of your diet and don’t worry about going gluten free, according to the Harvard Health Letter.